The current approach for catheter ablation (CA) of accessory pathways (AP) includes the use of standard catheters under fluoroscopic visualization. We hypothesize that use of contact force (CF) irrigated tip catheters might increase procedural safety in pediatric patients compared to standard irrigated tip catheters, by decreasing the number of radiofrequency (RF) pulses required to obtain AP elimination. 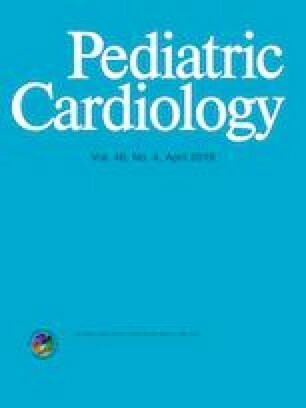 Seventy-one pediatric patients (13.7 ± 2.5 years, 45 male) with ventricular pre-excitation were enrolled in the study. CA was performed with a standard irrigated tip catheter up to June 2013 in 41 patients (Group S) and with a CF sensing irrigated tip catheter later on in 30 patients (Group CF). In the Group CF, RF was applied with a minimal CF of 5 g; CF > 35 g was avoided. Group CF procedures required less fluoroscopy (6.8 ± 4.8 min), compared to Group S (12.2 ± 10.8 min, p = 0.007). The number of RF pulses was smaller in Group CF compared to Group S (2.5 ± 2.0 vs 5.5 ± 1.9, p < 0.01). The mean CF during the effective RF pulse was 18 ± 7.7 g, force–time integral was 1040.7 ± 955.9 gs, Ablation Index was 513.0 ± 214.2. The procedure was acutely successful in 70 patients; at 12 months follow-up 2 patients had AP recurrence, one for each group. No major complications were reported. The use of CF irrigated tip catheters was associated with a smaller number of RF pulses and less fluoroscopy, as compared to mapping and ablation with standard irrigated tip catheters. Simone Gulletta and Pasquale Vergara have equally contributed to the study and are shared first authors. We thank the engineers Claudio Albertini and Emanuele Merola for the procedure support and data collection. SG: concept/design, data collection, critical revision of article, and approval of article. PV: concept/design, statistics, drafting article. LG: data collection, approval of article. GD: data collection, approval of article. AR: approval of article. CMB: data collection, approval of article. NT: approval of article. PDB: critical revision of article and approval of article. Dr. Pasquale Vergara is a consultant for Biosense Webster. Dr. Della Bella is a consultant for St. Jude Medical and has received honoraria for lectures from Biosense Webster, St. Jude Medical, and Biotronik. The other authors have no conflict of interest to declare. Parents or their legal representatives provided written informed consent in accordance with local guidelines.